Facebook Remove Baby Account is in the Pregnancy ~ " World Information "
Jakarta - Marriah Greene, stealing attention because only a short time after her account was made on Facebook, more than 260 Facebooker be his friend. But up then delete his account. Who is he? This account seems to belong to a baby who is still in the womb. Not yet also born into the world, both parents have created accounts on his behalf. This account also put pictures Mariah fetal profile will be updated every month, according to the age of the growth of the baby. Mariah prospective parents, Matt and Ellie Greene Texas, United States (U.S.), deliberately made ​​this account in order to share the latest news about the pregnancy Ellie through a funny way. "We're not sure how to tell all our friends when the baby comes. We want to make sure this pregnancy will be fine. And we think the quickest way to tell all your friends are using Facebook," said Matt quoted from ABC News, Saturday (04/06/2011). But Mariah account not last long because up who then know this, immediately remove it. 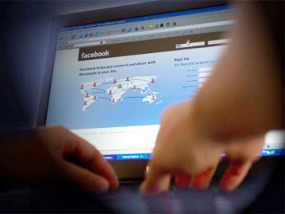 Social networking giant said it was not clear about the reasons for this deletion. However, as stated in the rules up, allegedly is related to the points that prohibits the user falsifying personal information or making false accounts.